Valley Fine Art is pleased to include Italian landscapes by Colorado artist Joellyn Duesberry at The St. Regis’ new restaurant. 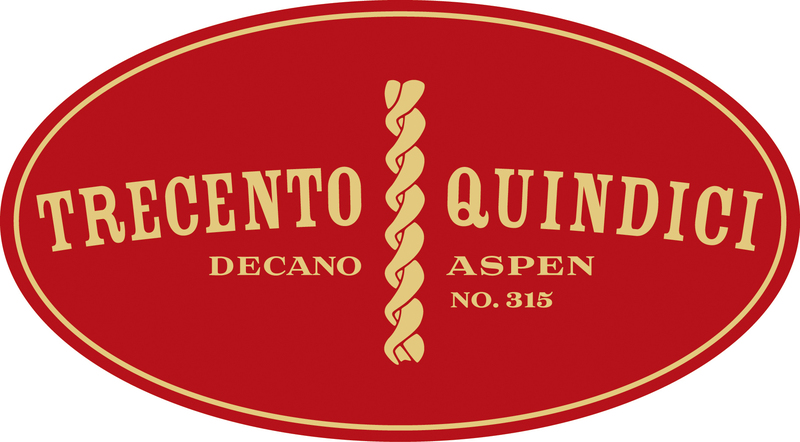 Aspen, CO—May 21, 2013—The St. Regis Aspen announced the June 7, 2013 opened the hotel’s new restaurant concept, Trecento Quindici Decano. With a name translating to “315 Dean” playing off the resort’s street address, Trecento Quindici brings the best of Italy to Aspen with hand-crafted Italian cuisine to be enjoyed amid a Mediterranean villa-inspired design. The restaurant features a menu crafted by The St. Regis Aspen’s Executive Chef Thomas Riordan, which will be further enhanced by the new, incoming St. Regis Aspen’s Executive Chef David Viviano, joining The St. Regis from The Westin Phoenix Downtown in Phoenix, Arizona. Trecento Quindici’s cuisine highlights traditional Italian dishes such as housemade pizza, handmade pasta and focaccia, incorporating seasonal, fresh ingredients and celebrated Italian delicacies. Daily prepared fresh pastas and sauces include the Capelettie Mialle with pork, tomato sugo and ricotta and Agnolotti al Cerdo with ricotta, lemon, anchovies and black pepper. Pizza baked to order in the restaurant’s pizza oven include The Dean topped with guanciale, tomato, mozzarella, black olives and arugula and the Salsiccia with housemade sausage, tomato, mozzarella and caramelized fennel. On the lunch menu, guests enjoy paninis made with homemade breads such as the Mortadella with fried mortadella, provolone, aioli and housemade giardinaire. Dinner entrée options include Mialle, a pan-fried pork chop with arugula, black olives and lemon. Featured on each table to accompany the restaurant’s housemade focaccia, are bottles of balsamic vinegar, aged three years, and extra virgin olive oil sourced from Puglia, Italy. Meats, cheeses and vegetables will be sourced from local Colorado purveyors whenever possible. Complementing the fare is an extensive assortment of Italian wines, hand-selected by The St. Regis Aspen’s Sommelier LeeAnn Kaufman. Trecento Quindici offers two house wines, a Pinot Grigio Rapido White 2010 from Alto Adige ($7 glass/$28 bottle) and Sangiovese, Rapido Red 2009 from Tuscany ($7/$28), both of which are privately labeled exclusively for Trecento Quindici. The cocktail menu features drinks made with Italian liqueurs including a Rosemary Lemoncello Martini and The Godfather with Amaretto and scotch whiskey. Trecento Quindici’s warm and vibrant atmosphere is emphasized by an authentic Italian-European design, reminiscent of a Mediterranean villa. 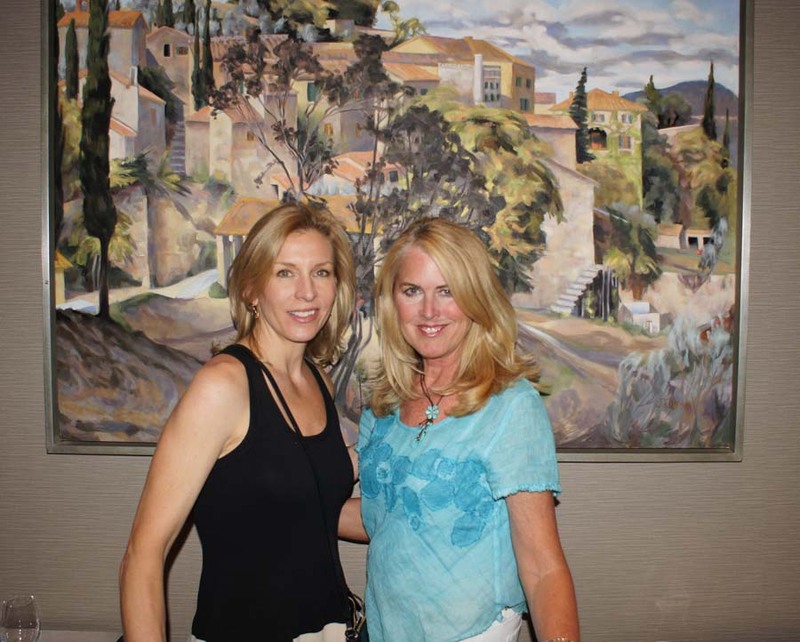 Featuring a celebratory Italian color palette, the restaurant’s walls in colors of deep reds and greens are enhanced by paintings of the Tuscan countryside and Italian scenery lent by local Aspen art purveyor, Valley Fine Art by Mia Valley, showcasing Joellyn Duesberry (See Duesberry’s paintings: https://www.valleyfineart.com/artistart.asp?type=living&At=JoellynDuesberry . The bistro-style atmosphere offers a casual dining space at the entrance of the restaurant where guests can enjoy a latte or espresso, while an outdoor courtyard features an intimate dining space, accented by Mediterranean flowers and hanging vines. The intimate, family-friendly space is highlighted by children’s offerings including butcher papertablecloths and crayons provided during the meal to cultivate the minds of young artists, as well as an adjacent, unsupervised game room featuring table tennis, air hockey, a Nintendo Wii and arts and crafts. From cheese and butter sauce, to a fresh tomato pomodoro, a playful children’s menu allows kids to build their own pasta dish with his or her desired pasta shape and sauce. To engage children in the culinary process, upon arrival, each child is offered cookie dough in a ramekin to decorate themselves. The cookie is then baked while the meal is eaten and presented to the child upon departure. Trecento Quindici Decano is open for breakfast and lunch from 7 am until 2 pm, daily. Dinner is offered Sunday through Thursday, 6 pm until 10 pm, and Friday and Saturday, 6 pm until 11 pm. The space is available for buyouts. For more information, or to a make reservation please call Trecento Quindici Decano at The St. Regis Aspen at 970.920.3300 or visit the website.